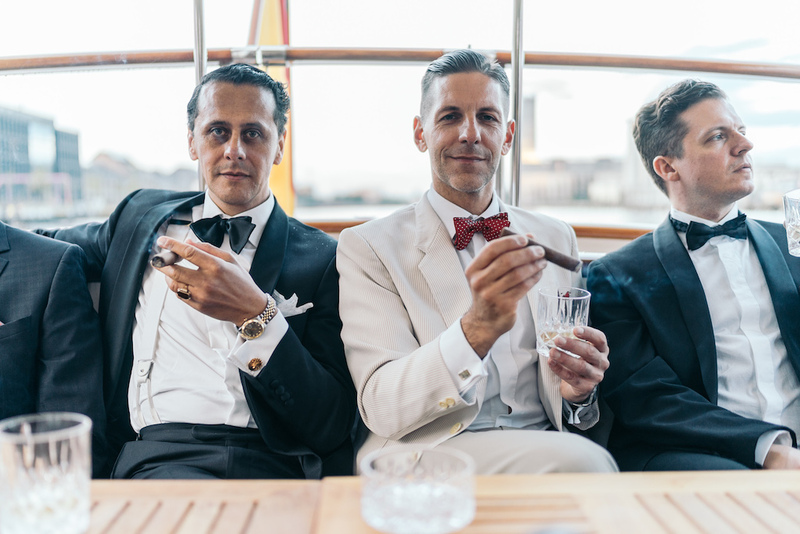 Your guests will be thrilled: Celebrate your business event on Berlin's most beautiful ships. The MOTORYACHT FITZGERALD is a private yacht in the style of the 20s and impresses with its noble workmanship and the materials used - mahogany, leather and steel. In this stylish atmosphere, it is easier to confer and to celebrate even better results. For your physical well-being, care is taken of: finger food buffet or Flying Cook menu - look forward to our exquisite delicacies. Everything is fresh and made with the best ingredients by hand. We also offer you a selection of fine drinks. Come on board with up to 35 guests - our crew is looking forward to seeing you! And should you ever be on the go in a smaller round - our BELLINI LIMOUSINE is the ideal companion for smaller corporate parties up to 10 people. Let the Venetian water taxi take you on a spin on the Spree and the Landwehrkanal and enjoy this stylish and individual journey with selected drinks and small snacks. We will gladly make you an individual offer. Write to us via our contact form or call us: 030 - 554 994 60. We look forward to hearing from you! Incidentally, the MOTORYACHT FITZGERALD is also cruising in winter. How about a Christmas party on the Spree? Experience the wintry Berlin from the water while you enjoy mulled wine and cookies in the heated salon or on the equally heated back deck.